What happens when one of America’s best-known haiku poets joins forces with her psychologist husband to write a book? 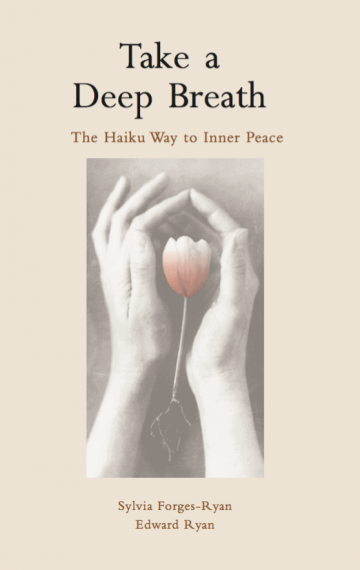 The answer: Take a Deep Breath: The Haiku Way to Inner Peace—a unique collection of guided meditations, drawn from and experienced through the appreciation of haiku. In today’s fast-paced, high-pressure world, Take a Deep Breath can help anyone learn to slow down and take stock, relax and focus on the present moment, and find poetry and depth in their own lives.